Regal Security and Industry Training RTO 32331 provide pre-requisite and entry requirements for each program and course detailed on their webpage information, and also on the Form page: Enrolment & Participation conditions section, to ensure AQF level II and III learning ability; QLD security, P.I and weapons safety licence requirements and program participation ability is met and supported. Pre-Requisite: We highly recommend a minimum of Grade 10 level of English reading and writing, and ability to meet licence application and funded program requirements. Before completing the enrolment process, where additional support is identified from LLN responses in the Program/Course Portfolio Kit, alternative support services are available to meet program licence application and program/course participation ability. The following support services are available, dependant on eligibility requirements, where a qualified Regal Security and Industry Training representative is able to assist in alternative pre-program learning options, before completing program/course enrolment process. 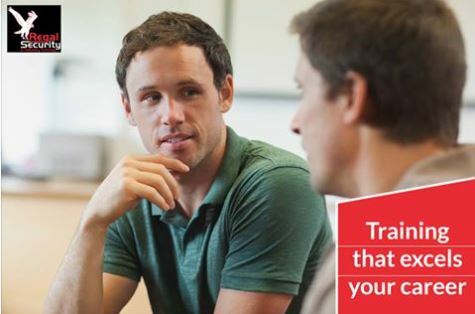 Workplace English Language and Literacy Program ( http://www.innovation.gov.au/Skills/LiteracyAndNumeracy/WorkplaceEnglishLanguageAndLiteracy/Pages/default.aspx)—funding is available for combined language, literacy and vocational training. Skills for Education and Employment Program ( http://www.humanservices.gov.au/customer/services/centrelink/skills-for-education-and-employment )—provides training for eligible people whose skills are below the level considered necessary to secure sustainable employment or pursue further education and training. Adult Migrant English Program ( http://www.immi.gov.au/living-in-australia/help-with-english/amep/ )—provides free English language courses to eligible migrants and humanitarian entrants. 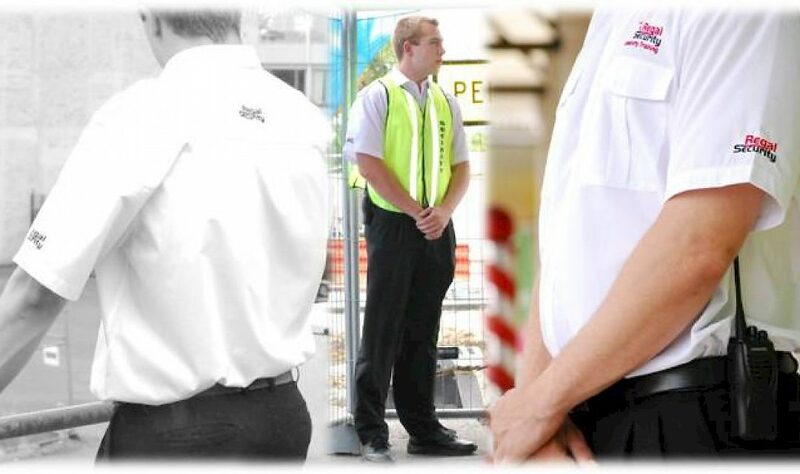 If you are seeking a profession in the security industry, or wish to upgrade your current skillset, then it’s hard to go past the training courses and experience of Regal Security & Industry Training, based in Southport on the Gold Coast. With more than 2 decades of experience running security courses and offering industry training, you can count on the team of experts at Regal Security to deliver the highest quality of security training available. You don’t want to be trained by somebody who has only ever studied security in a classroom. At Regal Security, all our trainers are security experts and current or former security personnel, so they have the hands-on experience and knowledge to deliver to each and every course participant. All of the above courses are nationally recognised. We always aim to not just meet the Australian standards for security courses, but to beat them. 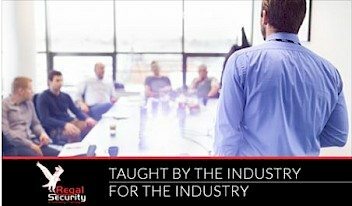 Our goal is to ensure each and every individual that participates in one of our courses is equipped with the most up-to-date knowledge and techniques available in the industry. Security can be a serious business, and so can the learning, but we also realise people learn best when they have some fun along the way. Our security courses are effective and informative, but we also make certain everyone enjoys the process in a safe and friendly environment. Regal Security & Industry Training offer the most effective security courses and for some of the most competitive prices around. Updating your current skills or learning a new profession doesn’t need to cost you an arm and a leg. In fact, you’ll be pleasantly surprised at some of the prices for our various courses, so be sure to check them out. Get in touch with our friendly staff today to discuss your options for training in the security industry. We offer you nothing but the best. There can be many different career choices and possibilities in the security services industry; from static security guards, crowd control, VIP security and cash in transit security guards, just to name a few. When some people think of the “cash in transit” role, images from armoured car heists in Hollywood movies often spring to mind. While these movies can be entertaining, they also serve to tarnish the image of this essential industry, making it look like an unsafe work environment, when really the opposite is true. In Australia, incidences involving armoured vehicles or security guards encountering trouble during the transfer of cash to ATMs and banks is extremely rare. While incidences can occur, there is more chance of being attacked by a shark when swimming at the beach than there is of being involved in an armed hold up. All facets of the security industry come with some element of risk. Any industry where the protection of people and property is involved is never going to be totally risk-free. The bouncer working in the local night club is more likely to face a physical encounter than a cash in transit security guard. All in all it’s a very safe and secure industry to work in and it can be a very rewarding career. Training for this role opens up even more job opportunities for those who have entered (or are considering entering) the security services business. The key to being successful, and safe, in the role of a cash in transit security guard is to be expertly trained; so you have the confidence and the skills to do the job competently and safely. Regal Security & Industry Training is based on the Gold Coast, and we offer a very popular one day training course for those individuals looking for a career as a cash in transit security officer. This course is an add on for those who have already completed their security guard training, and have the Qld Security Guard Firearms License. All of this training can be accomplished with Regal Security as well. Cash in transit security services is a safe industry to work in. Those security guards who would prefer to be mobile, working in different locations throughout the day, would likely enjoy this role more than being placed somewhere statically. It’s definitely worth looking into, so get in touch today to discuss your options. Security in all its forms is an industry that is always in demand. 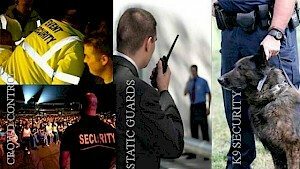 Whether it’s the need for static security guards, crowd control experts, VIP security services, K9 security and many others, choosing the security industry as a career means you will likely always been in employment in one facet of the industry or another. If you take note, you really will see static security guards literally all over the place. The police can’t be everywhere, and that’s where static security services really comes into its own. 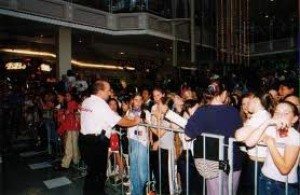 There are always events of one kind or another happening in South-East Queensland, so there is plenty of work for crowd control security services. Whether it be music festivals, special occasions, private parties, government officials attending a summit, sporting events and more, crowd control requirements are commonplace, so you can always be assured of a steady stream of work opportunities. This is more in the role of a bodyguard and requires the security officer to engage in a more personal role with those they are charged with protecting. Would you like to be personally responsible for the next pop star or celebrity that comes to town? That’s the kind of role VIP security services are enlisted for; protecting famous people, and/or those who could come under threat for any number of reasons. These men and women ensure that the cash and other valuables in armoured vehicles gets safely from point A to point B. Think of this as a static security guard role while being on the move. A good choice for those who don’t enjoy being situated in the one place all day or night. If you love spending time with mans’ best friend, then a K9 security role might be the career choice for you. As a K9 security guard, both you and your highly trained dog will be responsible for protecting property, people and premises. One dog and handler can effectively perform the role of a number of security guards. Spend your days or nights patrolling the neighbourhood with your best friend, keeping everyone and everything safe in the process. We are the premier security training company on the Gold Coast and in Brisbane, with a wide range of courses covering just about everything a career in the security sector has to offer. Get in touch with our friendly staff today to discuss your options for a career in this satisfying and versatile industry. While a bodyguard is a form of security guard, a security guard isn’t necessarily a bodyguard. The two roles may have duties that overlap, but the duties of a bodyguard can be quite different to those offered in more standard security services roles. The role of a bodyguard was made particularly famous and high profile by the Kevin Costner/Whitney Houston 1990’s movie of the same name. Bodyguards became a glamorous career choice. While the film was a work of fiction, it certainly helped to gain some much-deserved recognition for the vital roles bodyguards play. Basically a bodyguard is a more up close and personal security guard. Generally a bodyguard is assigned the role of protecting one particular person only, although there may be several people assigned to their care. A classic example of a bodyguard would be someone who is almost always by the side of a celebrity or otherwise famous individual. The bodyguard ensures the safety of this person at all times and also helps to maintain some personal space between their client and the crowds of fans and media. In this case the bodyguard is acting in the role of VIP security. Who might require a bodyguard? The above list covers just some of the types of people who may require the professional services of an experience bodyguard, either some of the time or all of the time. The role of a bodyguard is an extremely important one, and clients want to know they are being protected by highly-skilled professionals who have been expertly trained in the art of VIP security services. And that’s where the training supplied by Regal Security & Industrial Training really comes into its own. With 22 years of experience, your instructors will provide you with the ultimate in training techniques to ensure you excel in your chosen career as a personal bodyguard or VIP security personnel. Licensees have a responsibility under the Liquor Act 1992 to provide and maintain a safe environment for patrons and staff in and around their premises and its neighbourhood. Crowd controllers play a crucial role in assisting to maintain these standards but engaging crowd controllers does not absolve the responsibility of a licensee to meet the necessary requirements as set out in the Liquor Act and relevant security provider legislation. OLGR has identified a concerning number of violent incidents that have occurred in or around licensed premises where crowd controllers have been the alleged perpetrator. There are severe consequences for failing to provide a safe environment which includes potential exposure to civil claims and the bad reputation that could result from serious incidents occurring. This is in addition to potential consequences under the Liquor Act. After an altercation involving a crowd controller resulted in the death of a patron in the northern part of the Gold Coast, the licensee was required to pay a substantial amount to the department and had a number of additional conditions imposed on their licence. When employing crowd controllers there are some key factors licensees must consider. Firstly crowd controllers must be aware of the licensee’s established standards, specific values and venue management plans and procedures. It is necessary they complete a venue induction before commencing duty. Specific roles, standards and duties must be defined and frequently communicated to all crowd controllers, particularly if there is a regular turnover of staff in these roles. Secondly, a licensee must insist on high standards of competence and conduct from crowd controllers, whether they are employed directly or through a security firm. It is also important to monitor the performance closely to ensure a professional and ethical standard is maintained, this includes regular security reviews. Thirdly, care must also be taken when patrons are removed from licensed premises. For instance a victim and offender should not be removed at the same time, but instead escorted out at separate points. Violent incidents where a person has been injured must be immediately reported to police. If the victim remains at the venue, legislative requirements must be met in relation to the service and consumption of alcohol. It is an offence to supply liquor to, permit liquor to be supplied to, or allow liquor to be consumed by a person who is unduly intoxicated or disorderly. sufficient controls are in place to ensure crowd controller interaction with patrons is closely monitored.